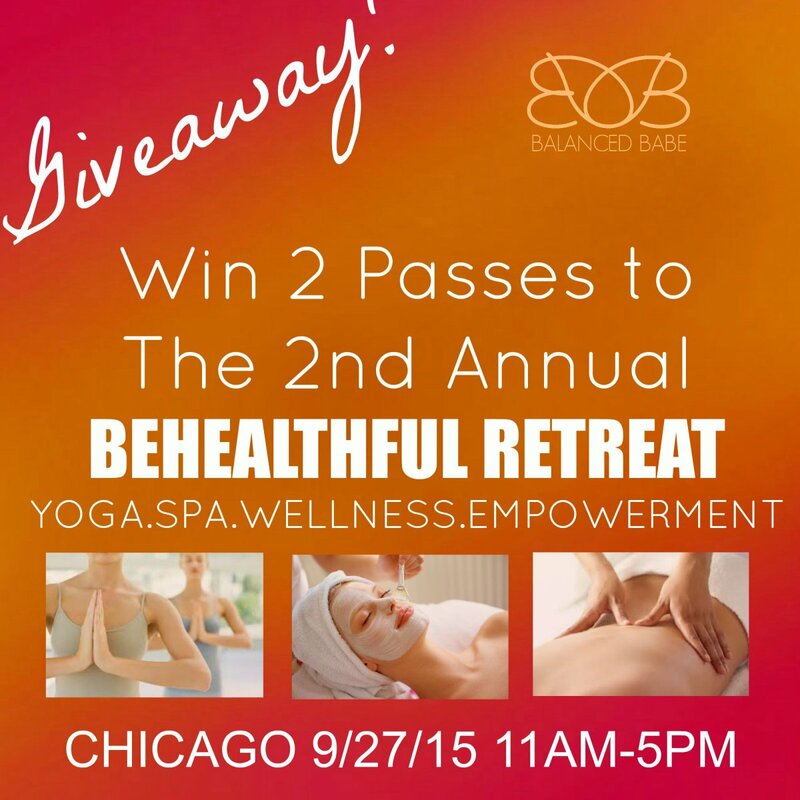 We could all use a bit more "wellness" in our lives, so if you like the idea of a day that’s about pampering yourself with beauty services, inspiring yourself with positivity and engaging yourself in fitness, then you don’t want to miss the BeHeathful Retreat in Chicago on Sept. 27th at the Zhou B Art Center (1029 W. 35th St.). The retreat also includes a series of panels, and I was honored to be included as a guest speaker. I’ll be up at 4:10pm. The topic — An Inflexible Mind Stops Success: Strategies for leading a fearless life and the life you are destined to have. For tickets to this event, which goes from 11am-5pm, click here. 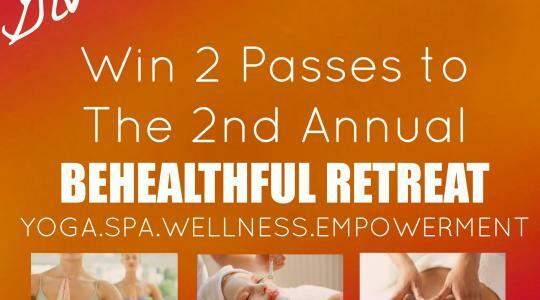 I’m also excited to be giving away 2 FREE tickets ($120 value!) to this retreat. Scroll down below to enter! Here’s just a sampling of all of the things you’ll get to experience throughout the day: expert panels, yoga and pilates classes, vibrational therapy, chair massage, oxygen treatments, facials, blow outs, makeovers, vegan manicures, acupuncture, eyelash applications, reiki, guided meditation workshops and more.